2017 is almost over and many people are getting ready for the new year. 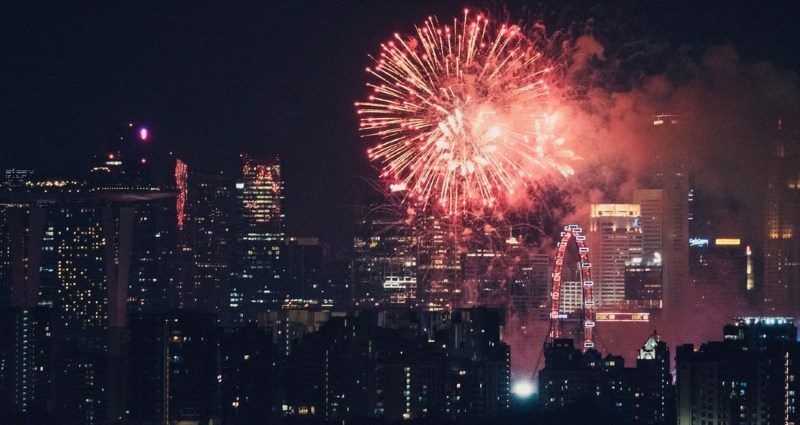 Here are some of the ways people celebrate the New Year around the world! In Times Square, New York City, a giant crystal ball descends down a 140-foot flagpole at the top of the One Times Square building, stopping exactly at midnight. 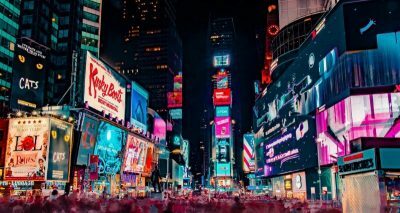 At that moment, the thousands of people gathered in Times Square erupt into cheers, and firework shows take place all across the East Coast. The U.S. spans six times zones, and as midnight approaches in each, people count down from 10 as the seconds approach the New Year. Most major cities have huge fireworks displays that are televised across the country. Some of the best and most popular displays are held in New York City, Chicago, Seattle, San Francisco, and, of course, Las Vegas. Midnight is also often marked by popping a bottle of champagne or other celebratory drink. A New Year’s good luck kiss is also a common custom. Xīn Nián Kuài Lè — Happy New Year! Chinese New Year is celebrated according to the traditional lunar calendar. It falls on the new moon between mid-January and mid-February. Families traditionally gather for a reunion dinner the evening before the new moon. Red envelopes full of money are traditionally given as gifts during the celebrations. The gifts signify goodwill. The amount of money should be an even number, as odd numbers are associated with money given at funerals! The lion dance is a traditional dance in which performers dress up in a lion costume and mimic a lion’s movement. During New Year celebrations, lion troupes dance up to houses and shops and “eat” the offerings of lettuce and red envelopes filled with money. The lion scatters the lettuce leaves, symbolizing an auspicious start to the new year and the spreading of good luck. 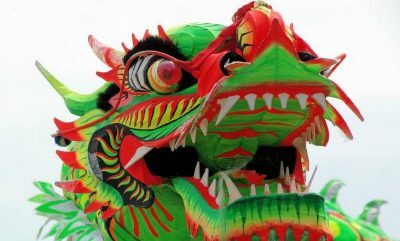 Chinese New Year celebrations begin on the new moon and continue until the full moon fifteen days later. Each day carries its own meaning. The festivities begin on the first day with fireworks and lion dances, and culminate on the fifteenth day with the Lantern Festival. On this day, candles are lit to guide lost spirits home and families walk the streets carrying lanterns. Lantern Festival is also celebrated much like Valentine’s Day, with a focus on love and relationships. The Japanese word for New Year’s Eve is Ōmisoka. In the days leading up to the celebrations, families come together to clean the entire house and prepare traditional dishes called osechi-ryōri for the New Year. Originally made of boiled vegetables with soy sauce and sugar, dish ingredients have expanded over time to include shrimp, fish cakes, mochi, and other foods. At midnight on New Year’s Eve, Buddhist temples throughout the country ring their bells exactly 108 times – once for each of the 108 mental afflictions in Buddhist belief. This practice is traditionally intended to cleanse people of these afflictions. 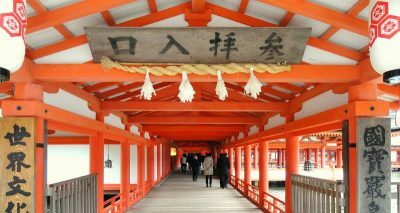 After the new year has begun, many people visit Shinto shrines for hatsumōde, the first shrine visit of the year. Here, people make wishes for the new year, buy charms called omamori for protection and luck, and return old ones to the shrine to be burned. Omamori are traditionally made of silk, and enclose paper or pieces of wood with prayers written on them. New Year’s Eve, or Réveillon de la Saint Sylvestre – literally the Feast Day of Saint Sylvester – has been celebrated since the late 19th century. Réveillon is usually celebrated with friends, music and dancing, and plenty of food. On New Year’s Eve, you can expect to eat dishes like oysters, goose, and caviar, all served with champagne. Celebrations are traditionally accompanied by firecrackers, horns, and plenty of noise – this stems from the old belief that noise scares away bad spirits, which are particularly threatening during the transition to a new year. At the stroke of midnight, it is customary to kiss under le gui – the mistletoe. Like the French, the Germans call New Year’s Eve Silvester, since the Feast Day of St. Sylvester happens to fall on New Year’s Eve. 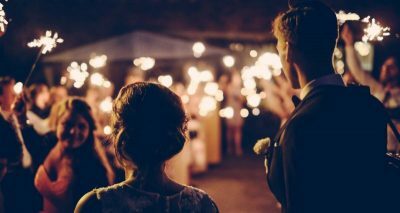 Many Germans attend midnight church services on Silvester or attend New Year’s parties. A common theme for many German New Year’s gatherings is to view the sketch Dinner for One, performed and recorded by British actors in 1963 and broadcast in Germany for the first time the same year. It remained relatively unknown until December 31st, 1972, when it was pulled out of the archives and broadcast on the Norddeutscher Rundfunk station. It was such a hit that Dinner for One has been broadcast on New Year’s Eve ever since. As many as half of all Germans watch Dinner for One on New Year’s Eve. The sketch is traditionally shown in English without subtitles, as the physical nature of the comedy makes it easy to understand. Despite being famous in Germany, the sketch is virtually unknown in the United Kingdom. For the New Year in Germany people traditionally wish each other a “Guten Rutsch,” which literally means “have a good slide.” As Rutsch used to mean “trip” or “journey,” it is thought that the New Year’s greeting originally was meant to wish a safe metaphorical journey into the new year. 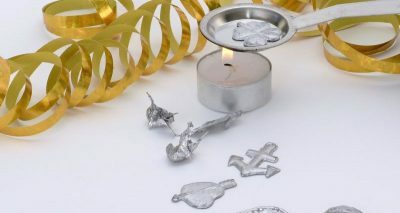 Also rooted in history, an old custom called Bleigiessen involves people taking turns melting pieces of lead in a spoon, then quickly pouring the lead into cold water. The shape the lead takes is said to foretell what the new year will bring. Today, as lead is known to be toxic, wax or other metals are sometimes substituted. Wishes for good fortune in the coming year are a common theme in Spanish New Year’s traditions. 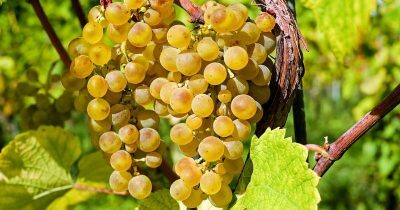 Spaniards traditionally eat twelve grapes at the stroke of midnight, one for each chime of the clock. If you can eat all twelve in time, you are supposed to have good luck in the new year. For extra luck, you can drop a gold ring into a glass of cava (a kind of Spanish champagne). Traditionally, to keep the luck going, you must quite literally start the year off on the right foot. Your first step after midnight should be on the right foot, and every important event of the day should begin on the right foot as well, such as stepping out of the house in the morning. New Year’s Eve, or nochevieja, is a significant celebration in Mexico. 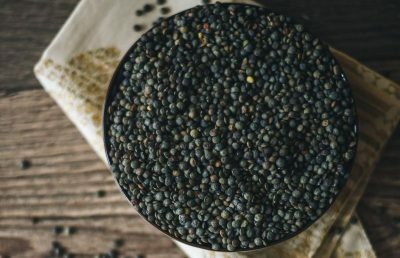 Lentils are associated with good luck and abundance in the country. You can leave lentils outside your door on New Year’s Eve, eat lentil soup, or simply keep some in your pocket. Another tradition is to wear different colored clothing for fortune in the new year, depending on what you are looking for. Red clothing symbolizes love in the new year, and yellow represents happiness and blessings. Green is associated with financial fortune and white is associated with good health. On New Year’s Eve, it is customary to have a late-night dinner with family. As in Spain, it is also tradition to eat 12 grapes at midnight and to wish each other Feliz año nuevo! At 6:00PM every New Year’s Eve, Queen Margrethe gives her New Year’s speech to the Danish nation. The annual speech has been a tradition since King Christian IX’s New Year’s speech in the 1880’s. It symbolizes national unity, and every year the Queen summarizes the year’s major political events and gives a special shout-out to the people of Greenland and the Faroe Islands. The speech marks the start of festivities for many Danes. Traditional dishes include boiled cod, stewed kale, and pork, followed by Kransekage – a tall cake made of stacked marzipan rings. As New Year’s Eve comes to a close, it is tradition to stand on a sofa or chair and literally jump into the new year. 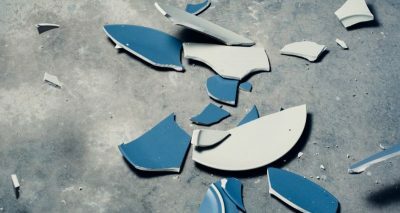 Another Danish tradition is to smash old, breakable dishes against your friend’s door. This is a way to both physically release your grievances from the past year, and to demonstrate your affection for your friends. The family with the biggest pile of broken dishes in front of their door is considered to be the most fortunate, as they have many good friends who have taken the time and effort to smash dishes against their house!